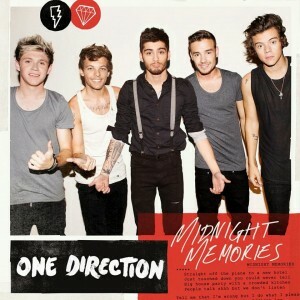 One Direction will release their brand new single ‘Midnight Memories’ – the title track from their recently released album – in early March. The band confirmed via their social media late last week that the track would play the role of the third single from the album in territories outside the United States. Co-written by Louis and Liam from the band (along with Julian Bunetta, Jamie Scott and John Ryan), the new track once again heralds a shift in stylistic ‘Direction’ direction, blending pop and rock. A digital ‘Midnight Memories’ EP will contain three bonus tracks… live recordings of previous single ‘Story Of My Life’, ‘Rock Me’ and ‘C’Mon, C’Mon’. The official video is due to premiere this Saturday at 3am AEDT, with the single dropping at digital retailers on Friday March 07.